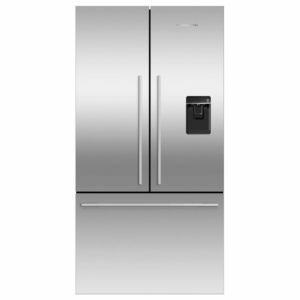 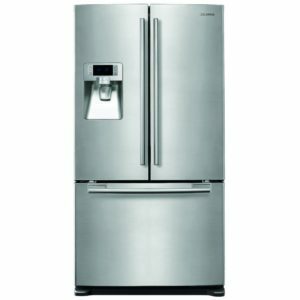 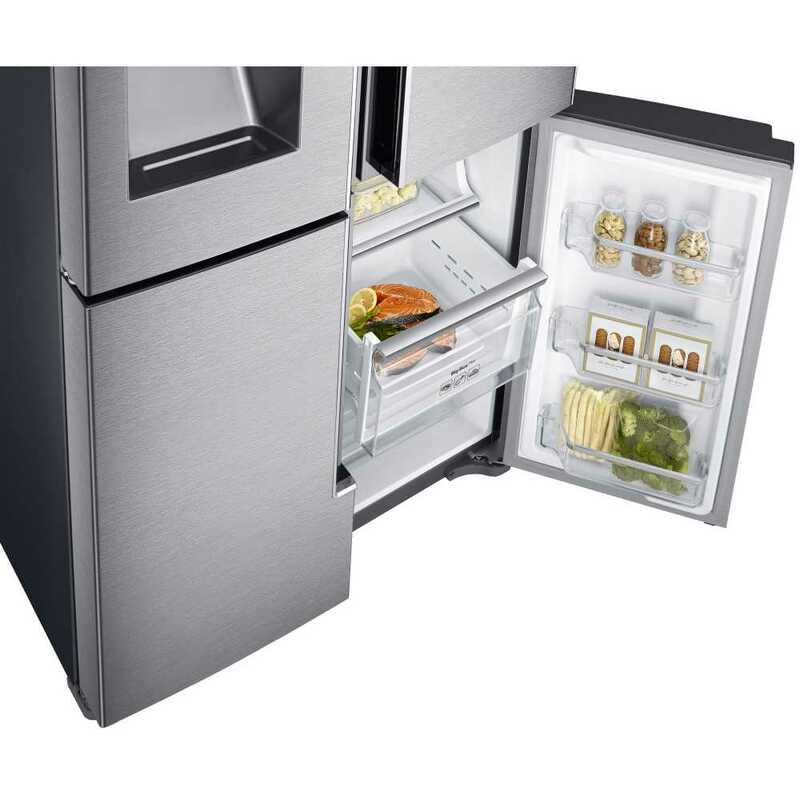 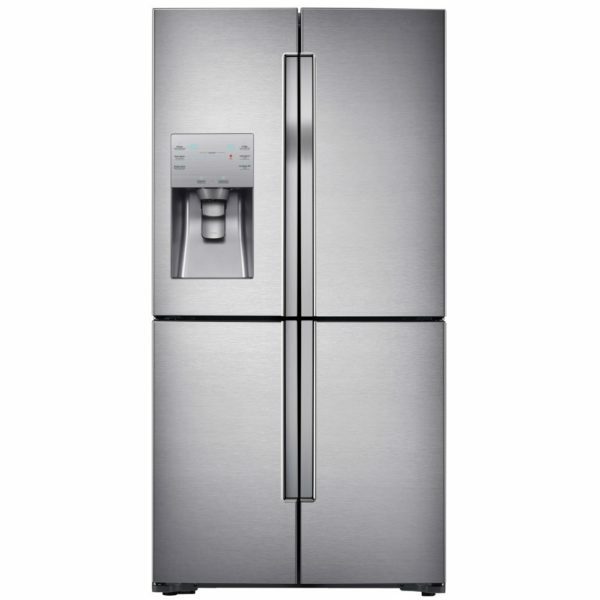 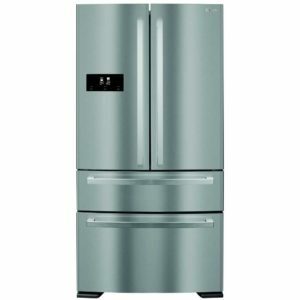 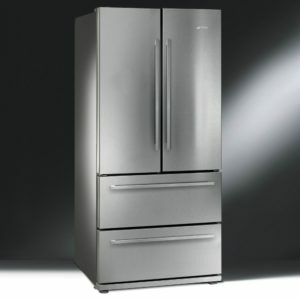 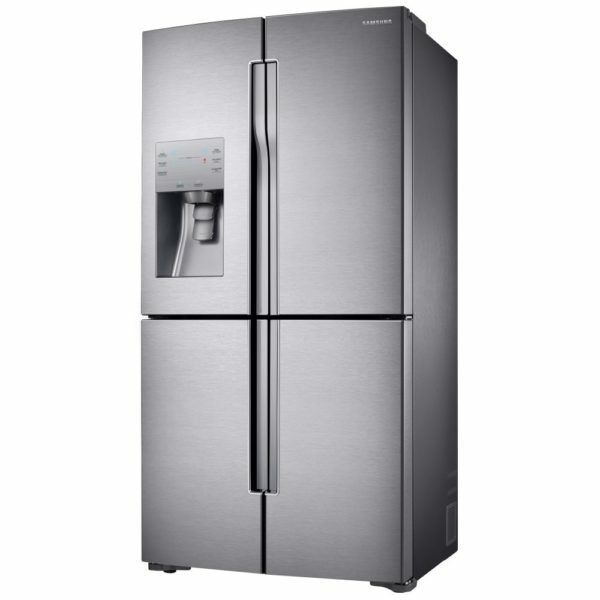 There are so many reasons why we love this Samsung French style 4 door fridge freezer. 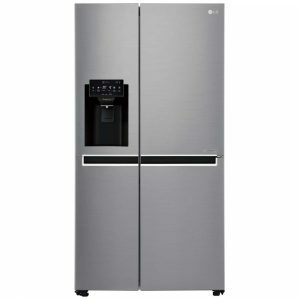 It has an amazing 564 litre capacity with a versatile bottom section which can be converted from fridge to freezer to suit your needs – genius! 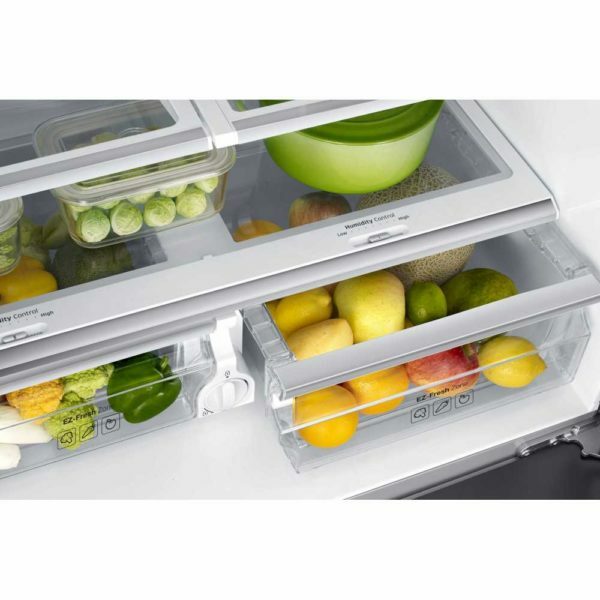 The revolutionary Triple Fresh Cooling system will ensure your food stays fresher for longer. 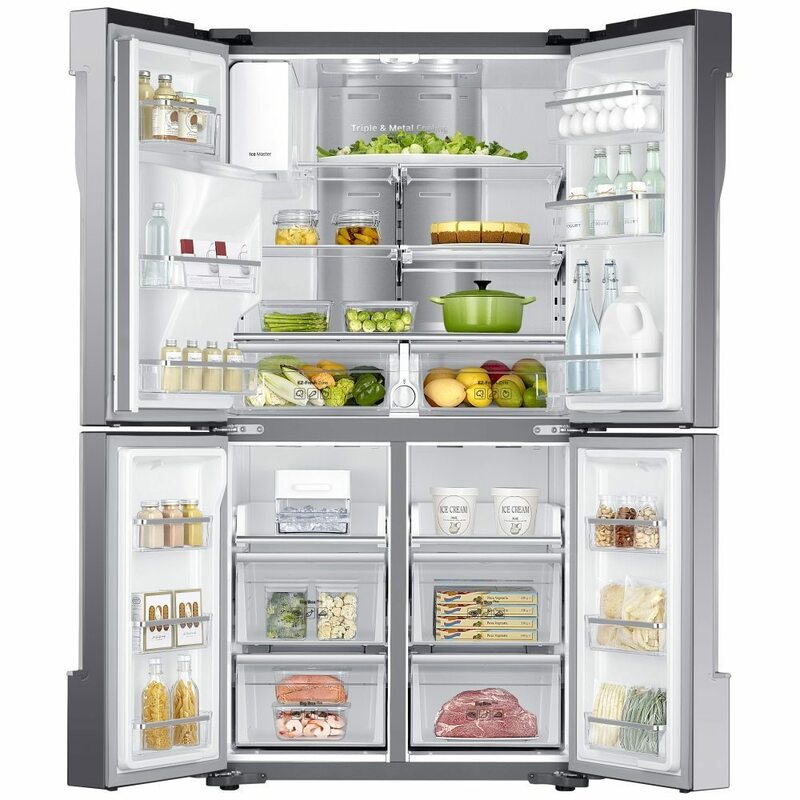 It looks as good on the inside as it does on the outside. 4 wide opening doors showcase the roomy interior with state of the art metal cooling plate and LED lighting. 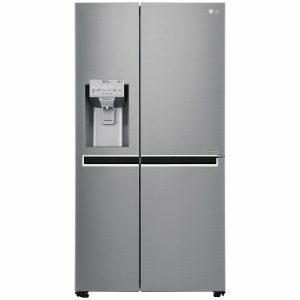 The exterior is in stainless steel with recessed handles and features a touch control ice and water dispenser. This gorgeous fridge freezer will be the stunning focal point of any kitchen.